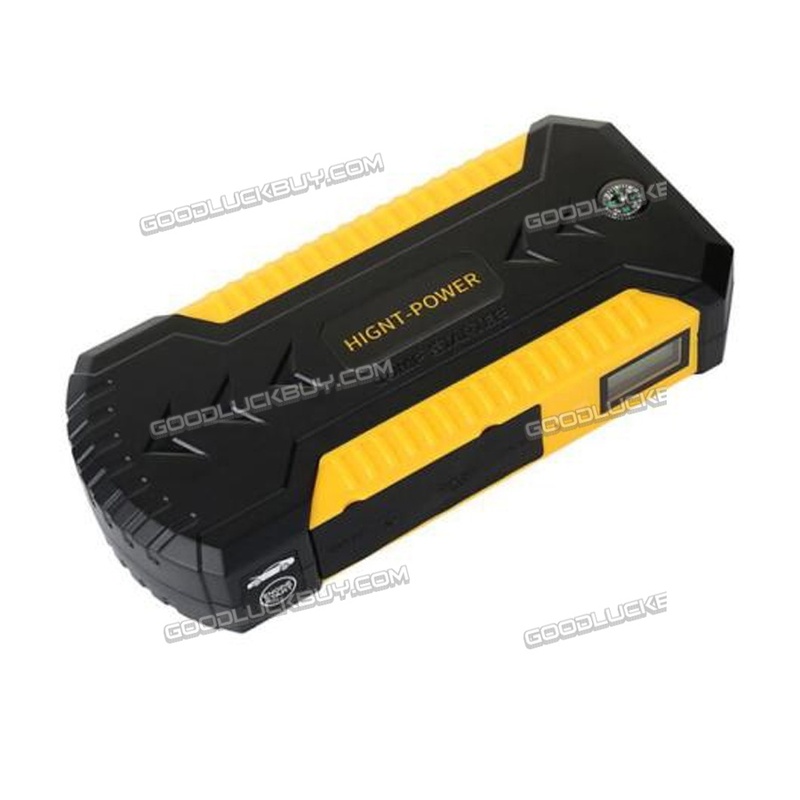 - Very high conversion rate.High Quality battery. - Very connvenient.can be charge at home and car. 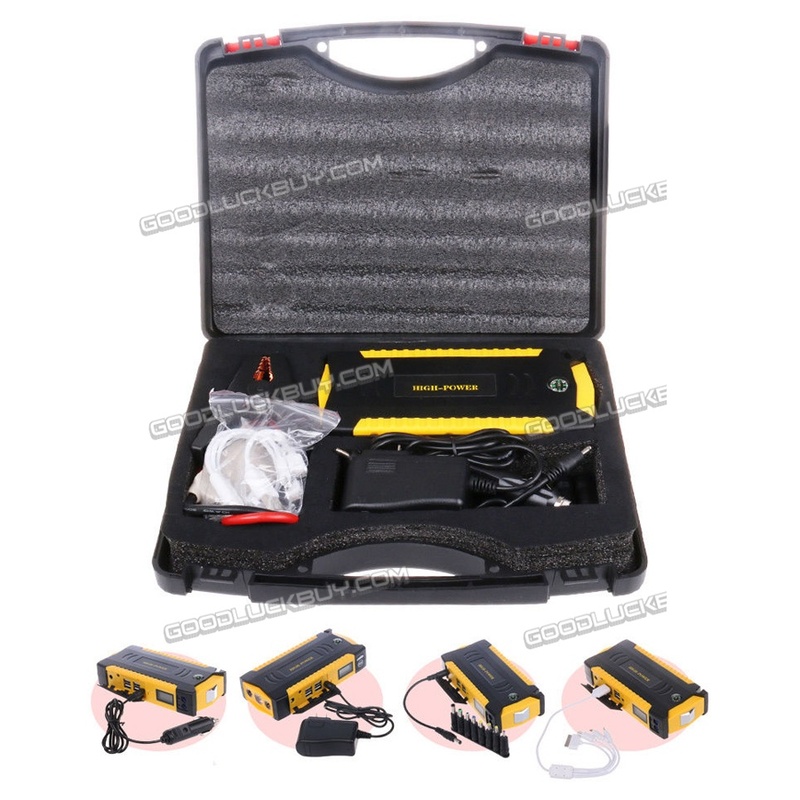 - LED illumination light with 4 alarm lights, voltage output indicator and battery indicator. - Car, mobile phone, PSP, MP3/MP4/MP5,Tablet PC, PDA,Camera etc. 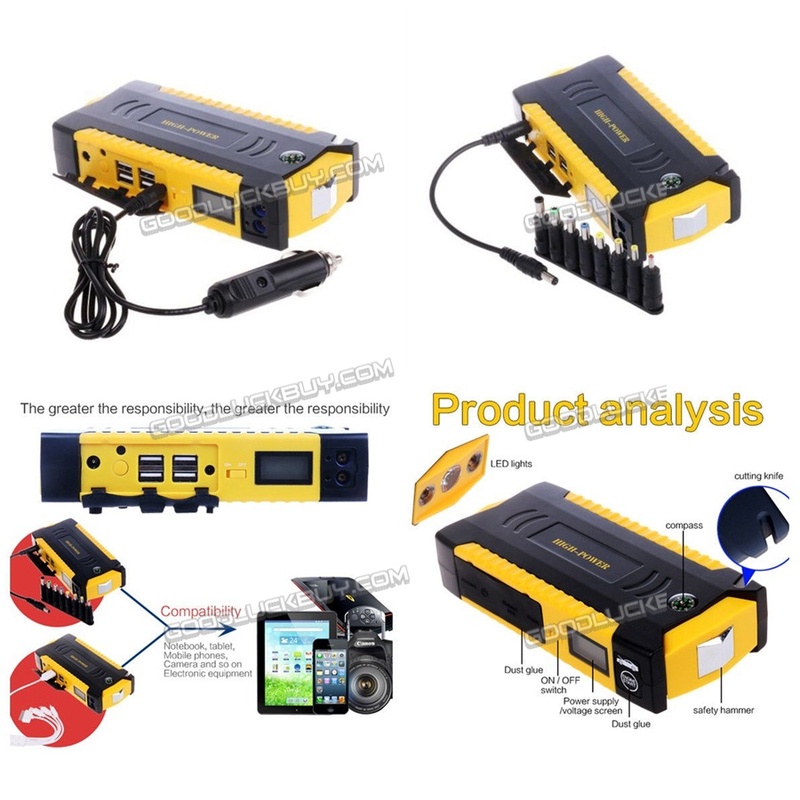 - Car emergency start charging,Enhanced 12V Petrol Version.Petrol Car Generic Version.